I'm sooooooo very excited to have my agent sister on the blog today. I'm sure you all know Julie Musil, and if you don't, GO SAY HI. She's an amazing, uplifting, supportive friend and I adore her to pieces. Morgan, thanks for letting me visit your blog today! I’m honored to share with you why I have an attitude of gratitude. I don’t know about you guys, but I’m so thankful to be a writer in 2014. We’re writing in a time of change, and to me, that’s exciting. Sure, the amount of physical book stores is shrinking, which makes me sad. But other than that, everything else is positive. • Ezines: These days, the Internet is full of ezines that offer free subscriptions to their readers and great opportunities for writers. In most cases you earn little to no money, but it’s a great way to earn publishing credits. I published some of my early work with Imagination Cafe & Stories for Children. Those credits paved the way for acceptance into paid markets, like Scholastic Math (see page 8) and Highlights. • Choices: Agent? Traditional publishers? Small publishers? Indie? There is no longer one way to publish. Writers can look ahead and choose the path that fits their lives best. All these choices empower writers and give us freedom. • Hybrid: Can’t choose which path to take? No worries! You can do both. Many traditionally published writers are choosing to also indie publish their work. Authors like Elizabeth Craig write a series for their publisher and another series that they put out themselves. No need for either/or. • Publishing outlets working for us: Amazon’s KDP, Create Space, Barnes & Noble’s Nook Press, Apple iBooks—all of these companies are working hard to make publishing easier. If a non-techie like me can figure out how to indie publish, anyone can. Seriously. • Freelancers: these days, there are thousands of freelancers out there who can make our writing lives better and easier. The small cost of working with a pro pays dividends when we’re able to offer quality books to our readers. I used the fab editors at A Little Red, Inc., and my cover was designed by J. Allen Fielder. • How-to resources: When I decided to indie publish, I went directly to a seasoned pro—Susan Kaye Quinn. Her blog pointed me in the right direction. If you’re even thinking about going indie, start there. • Online communities: I can’t imagine writing back in the days before the Internet and blogging. The support and help that we offer each other is priceless. Got a question about publishing? Google it. Got a question about formatting? Search the KDP or Create Space forums, where other writers stop in to help. Feeling insecure about your writing? Join a group like Alex J. Cavanaugh’s Insecure Writer’s Support Group. We’re all connected. We’re in this together. It’s a beautiful thing. Some may moan about the state of today’s publishing. Not me. I’m grateful that I’m writing in a time when writers have the freedom to make choices. How do you feel about being a writer in the current climate? Worried? Confused? Thankful? Please share! Julie Musil writes Young Adult novels from her rural home in Southern California, where she lives with her husband and three sons. She’s an obsessive reader who loves stories that grab the heart and won’t let go. 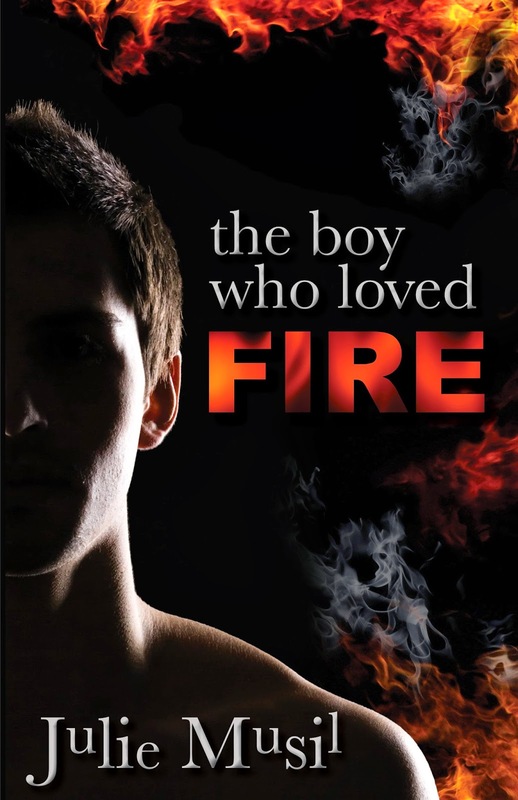 Her novel The Boy Who Loved Fire is available now. For more information, or to stop by and say Hi, please visit Julie on her blog, on Twitter, and on Facebook. Thank you, Julie! I'm so very excited for this release. I've already bought my copy and I'm excited to read and review!